REEF is proud to sponsor this year's Chatham Turkey Trot! This 5K run / walk is held annually in Chatham on Thanksgiving morning and follows a quaint and scenic route through Downtown Chatham and the surrounding waterfront areas. This exceptional event has grown dramatically since it's start in 2005, and donates the proceeds and food items to the Lower Cape Outreach Council. 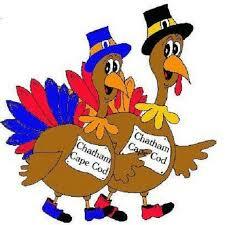 Over the last 5 years, the Chatham Turkey Trot has raised $150,000 and thousands of pounds of food items for those in need here on Cape Cod. Please join us this Thursday, November 22nd at 8:00am in downtown Chatham and bring a non-perishable food item to support this great cause! If you are considering building a new Custom Home here on Cape Cod, or if you are planning a major renovation, please download our Construction Cost Guide Here!